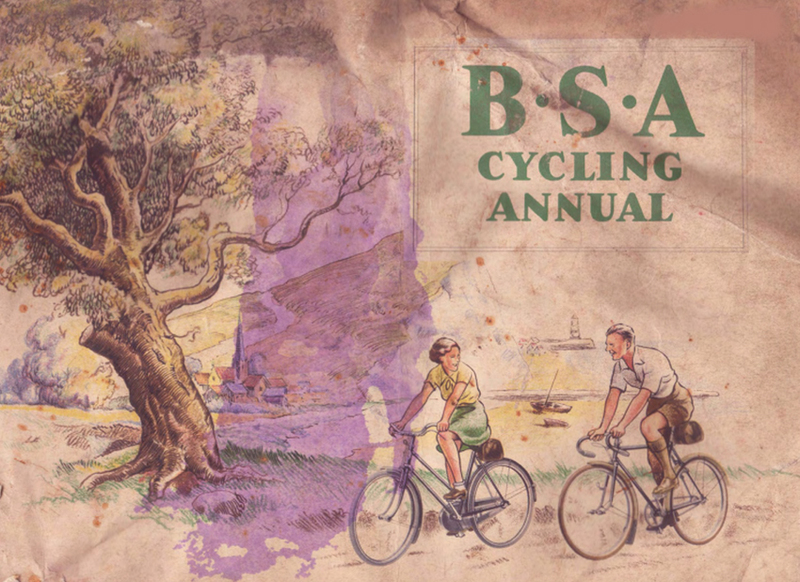 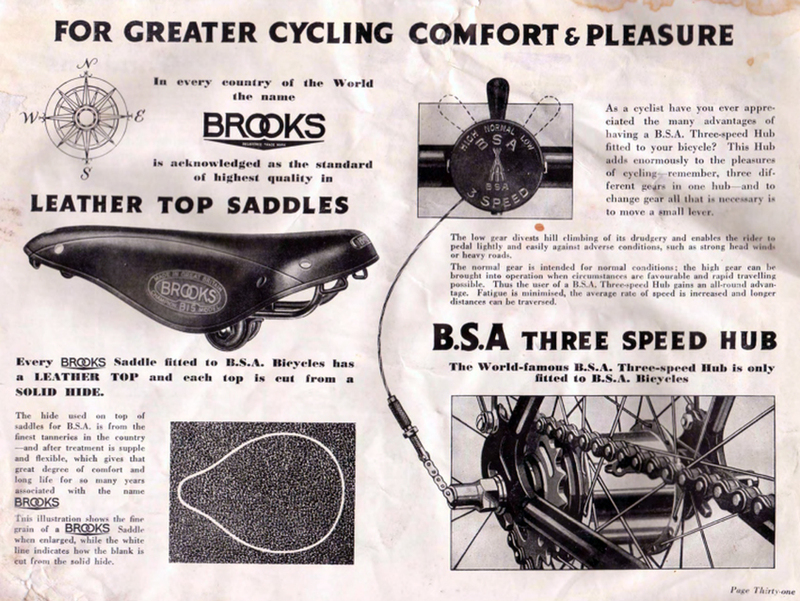 As you can see by comparing this lovely old BSA with the catalogue illustration, it’s fitted with the optional Sturmey Archer Three Speed rather than the Cyclo gear. 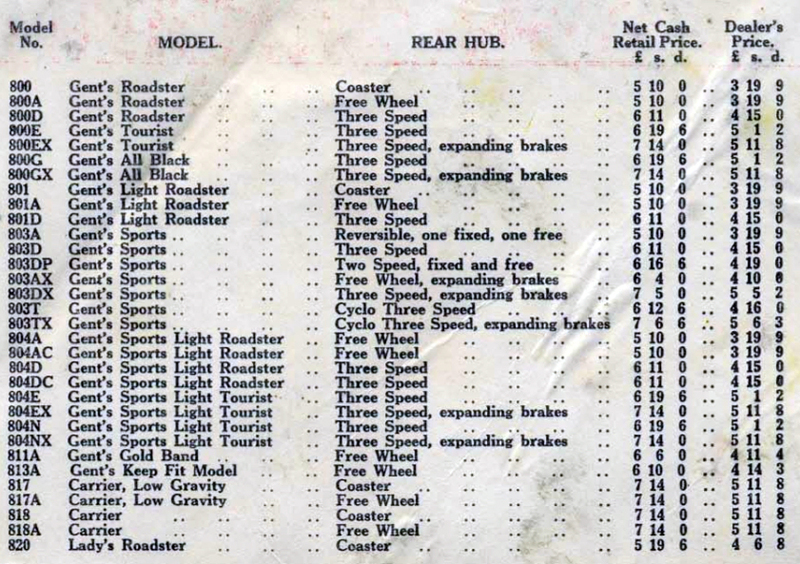 The three speed hub on this example is a later one, from 1965. 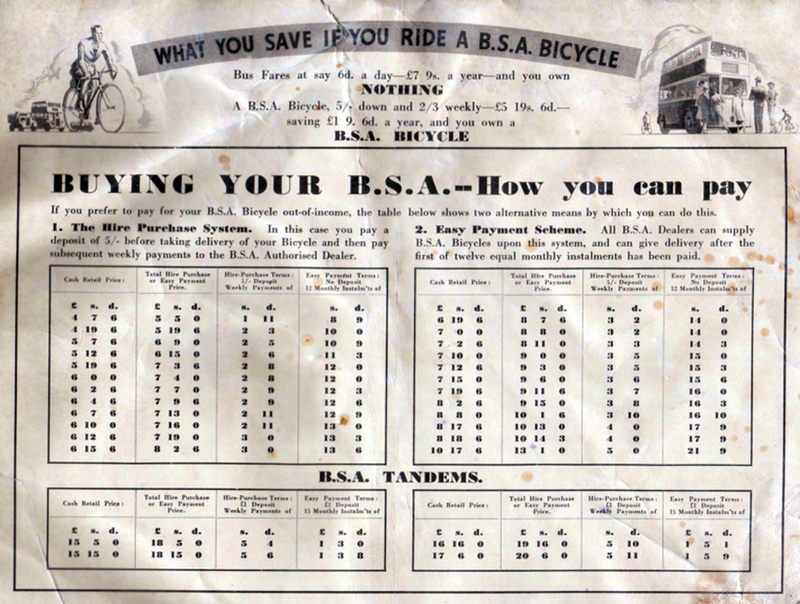 This machine is fitted with a head badge rather than a transfer (decal), which I believe was introduced in 1938. 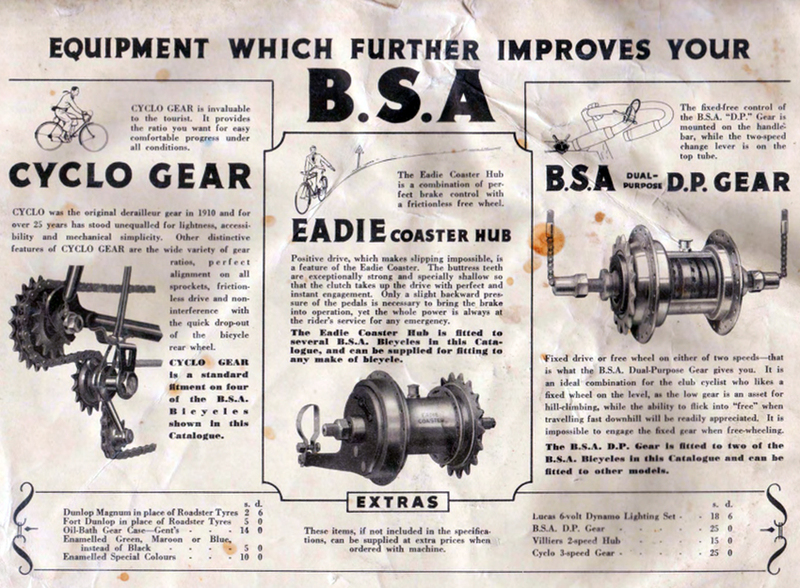 This machine has various sought-after and interesting parts fitted to it. 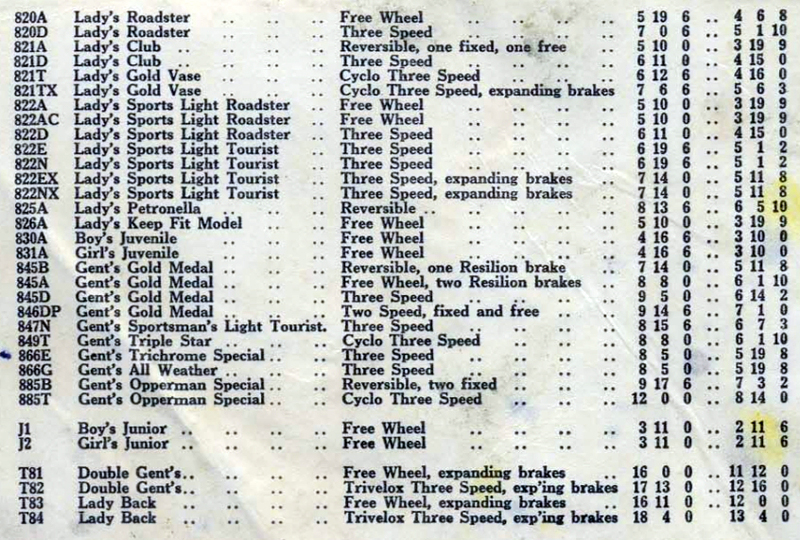 As you may be aware, a bicycle with such components is rarely offered for sale in complete rideable condition; spare parts retailers usually strip such machines to resell the parts for more money than the value of the complete bicycle. 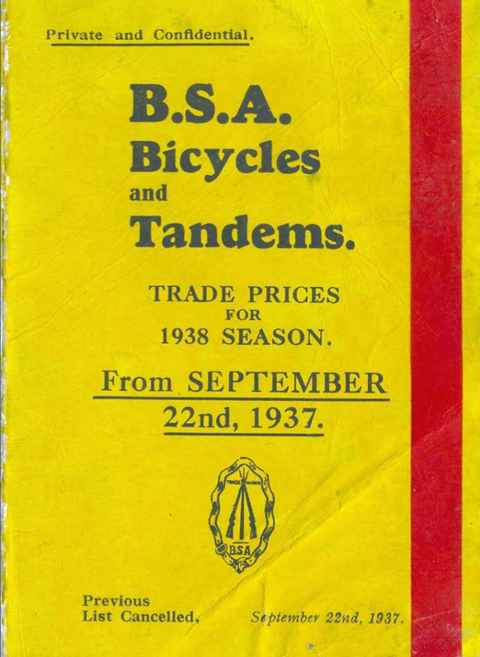 According to the price list below, the Model number for this tandem in 1938 is T84.